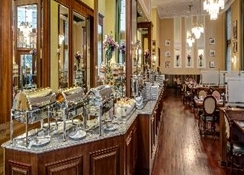 Built in 1913 and reopened in 2005, this city hotel is spread over 7 floors and comprises 206 rooms, of which 7 are suites and one is a large English apartment, and offers an interesting architectural mixture of the historical with new, modern elements. 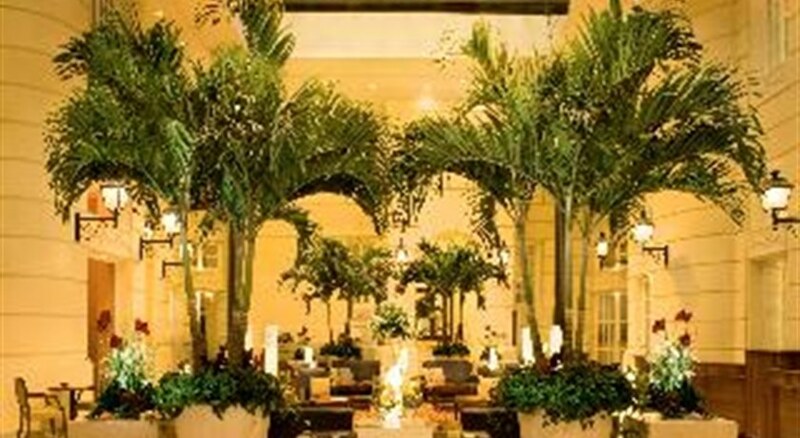 An elegant, air-conditioned lobby awaits guests with a reception (open 24 hours) and lifts, as well as a hotel safe and a cloakroom. Guests may wish to make use of the newspaper kiosk and a small supermarket. 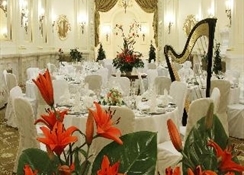 Culinary options include the Viennese café, Strauss and a cosy bar, Bojangles, as well as the Ludwikowska restaurant with swing music. Further facilities include 6 function rooms for meetings and conferences with high-tech audiovisual equipment and a 24-hour business centre. Video rental is available on request. Internet access is available and laundry and room services as well as medical assistance are also offered to hotel guests. Those arriving by car may make use of the hotel car park. Guests may work out in the in-house gym. In the well-maintained grounds there is a sun terrace where guests can relax and let their cares slip away, and there is also a sauna. 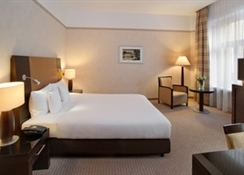 This attractive city hotel is situated at the heart of Warsaw in the financial and shopping district. The Palace of Culture and Science lies directly across from the hotel. In the immediate vicinity (around a 100-metre radius) guests will find numerous shopping venues, nightclubs, bars and restaurants. Links to the public transport network can easily be reached on foot and are located around 100 m away. 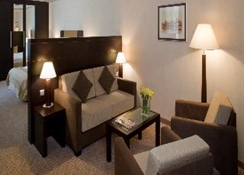 In addition, the train station is within 500 m away and Warsaw airport is situated approximately 8 km from the hotel. The tastefully decorated and welcoming rooms come with a seating area, a king-size bed, a bathroom with hairdryer, a direct dial telephone, a satellite/ cable TV, a radio, Internet access, a minibar/ fridge and a hire safe. The air conditioning is individually regulated. Distance to Airport: approx. 8 km / 20-30 minutes.Directions frome International Airport (WAW) by car or taxi: Leave the airport, follow the exit signs leading to Zwirki i Wigury Street ,cross one set of lights and continue straight ahead and under the bridge ,follow Zwirki i Wigury Street for about 2 kilometres, passing Wisniowy Business Park, on the right-hand side ,turn right at the intersection onto Raclawicka Street ,follow Raclawicka Street for approximately 2 kilometres, crossing two major intersections (with Woloska Street, followed by Niepodleglosci Avenue) ,continue straight on, crossing the intersection with Krasickiego Street ,then turn left at the T-junction with Pulawska Street ,follow Pulawska Street for about 1.5 kilometres , then turn right at the Silver Screen Complex on the right corner of Pulawska and Goworka Street ,drive down Goworka Street onto Spacerowa Street ,the hotel is located on the next intersection, on the right-hand side.